In 2010, Lemke and Dublinske published “Designing ASHA’s future: Trends for the association and the professions“. 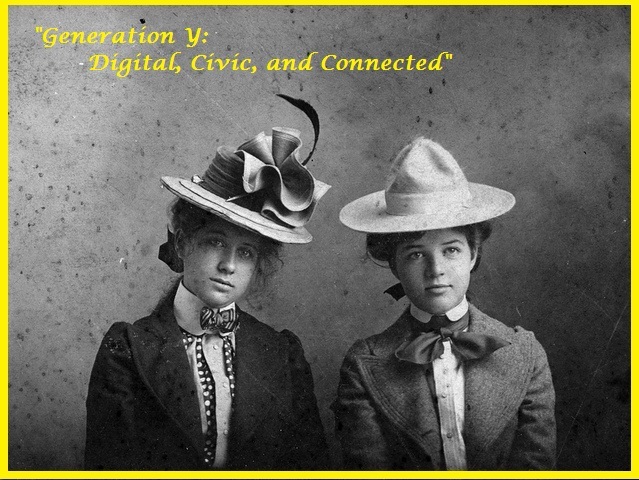 One of the 19 trends that stood out was the projected Generational Trend; specifically, how Generation Y (aka Millennials, born after 1982) are characterized as digital, “civic,” and connected. So they suggested professionals and ASHA should “relate to Millennials, who are expected to be a major force for social change as they enter their young adult, professional, and family stages of life development.” Talk about pressure on my (Millennial) generation. I fit right into many of the stereotypes of the Millenial generation – clinging to technology and huddling to stay connected. As I read the article and proceeded to write my topic paper, my mind kept going back to EasySpeak Magazine. On April 25, 2012, Shareka Bentham (aka @speechreka on Twitter), published her first edition of EasySpeak Magazine. Available as a free download, the 42 page magazine features “style, technology, lifestyle, products, and fun” for the Speech-Language Pathologist of today. Everything about the design, topics, and layout screams “READ ME”; and so I indulged. I loved the technology articles about using Twitter, blog shout-outs, and apps to consider. And I would have missed the “hottest ‘wear to work’ looks for 2012” if it wasn’t for the article on page 20; not to mention I now know the difference between “drab and fab” for SLPs. Then came the highlight of the issue – an interview with Dr. Rhea Paul, a familiar figure in the field of Speech-Language Pathology. The issue ends with funny SLP stories, activities, and a free worksheet. I have read and shared it many times since I first downloaded it; make sure you do the same (download here). ASHA is doing its part in “relating” to my generation, as well as including those older than I. Where the gap is filled is with bloggers, Twitter, Facebook, Pinterest, and magazines like EasySpeak; they help keep the profession “connected” in my opinion. EasySpeak Magazine is adding to the relatability and trendiness of the profession (and I look forward to the next issue). I may have been a late comer to the Blogosphere and Twitterverse, but I sure am glad for #slpeeps and #slp2b . @speechreka blogs at Easy Speech and Language Ideas and has an app EasyConcepts available on iTunes – Check them out!